Who remembers last May (2015) ? 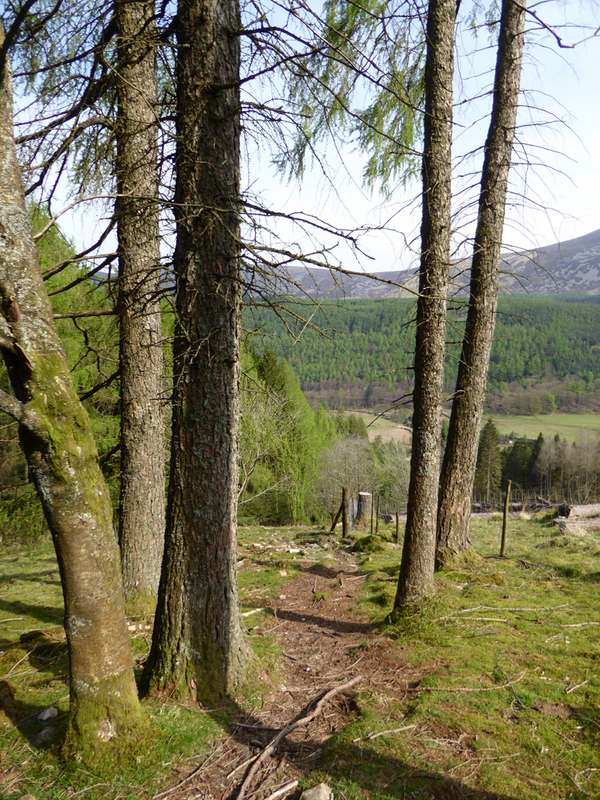 A cool and often dull month, so given the forecast for this weekend, there was little option other than to pack the tent and head out into the countryside. 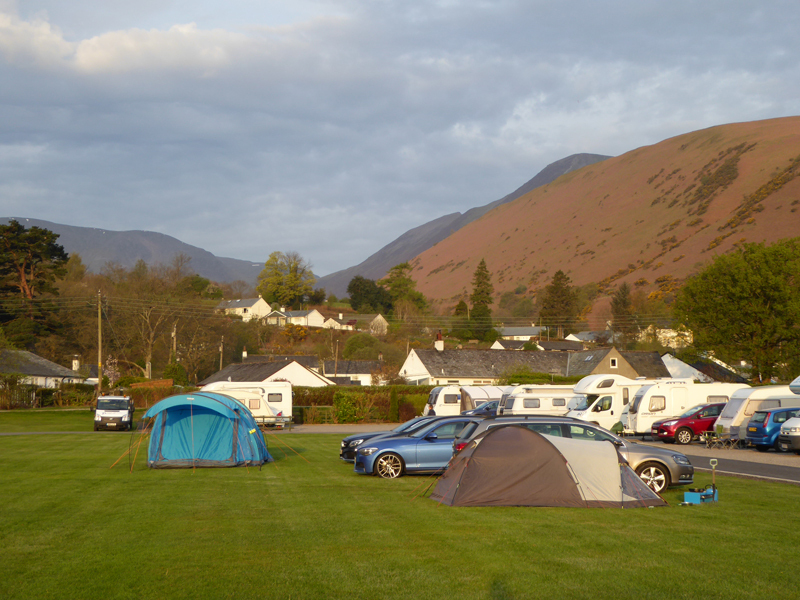 Scotgate is in Braithwaite, near Keswick. 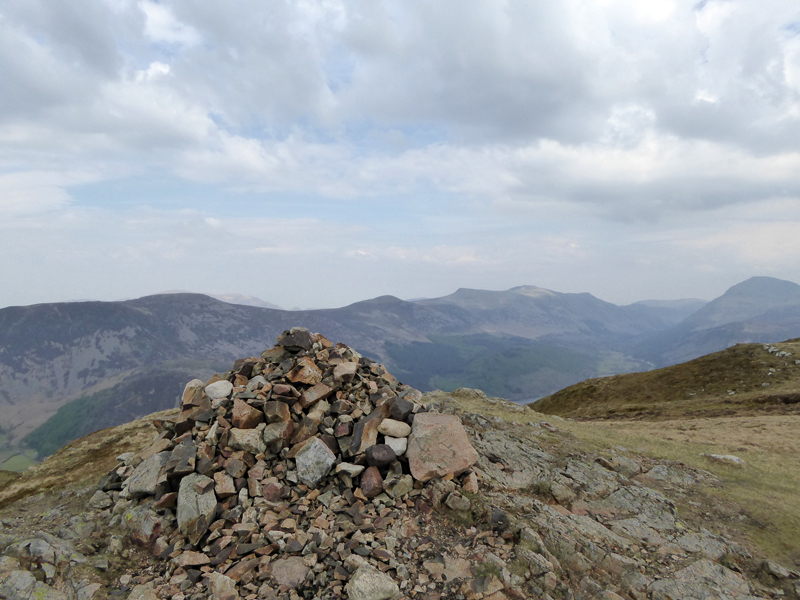 Last time out I determined the next visit to Steeple would be from the bottom and that stuck in my mind, so just three weeks later I'm back in the Lakes and I drove around to Bowness Knott car park in Ennerdale for the purpose of climbing the fine mountain from the base. 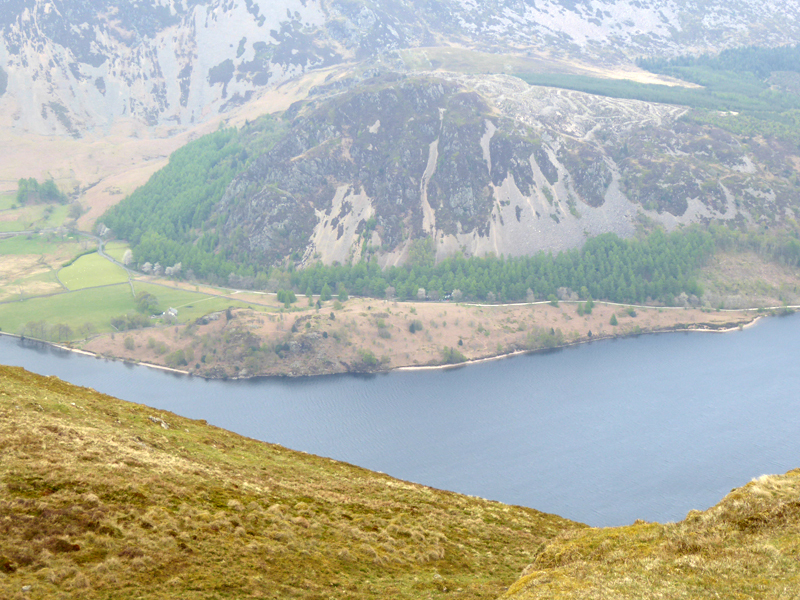 Today's forecast includes a risk of thunder, so the full waterproof kit is in the rucksac. 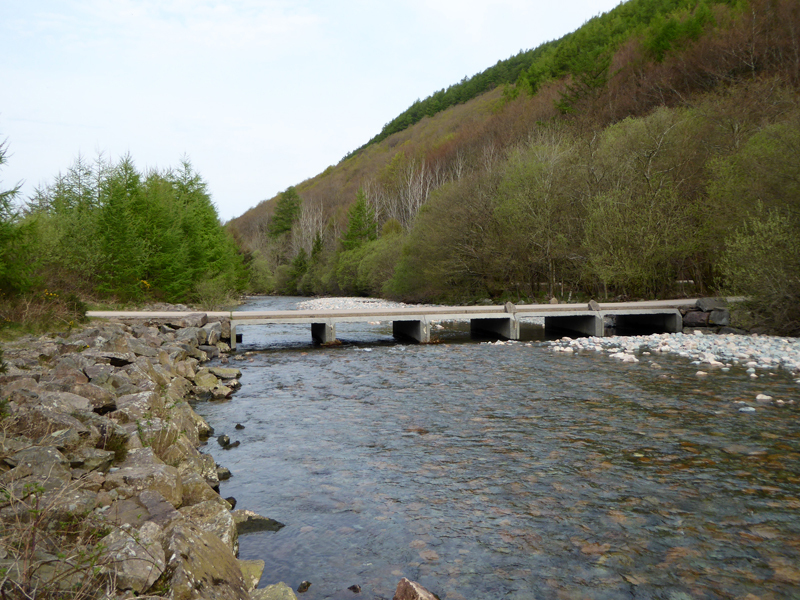 After parking, we walked the easy, short distance to the river crossing at Char Dub. 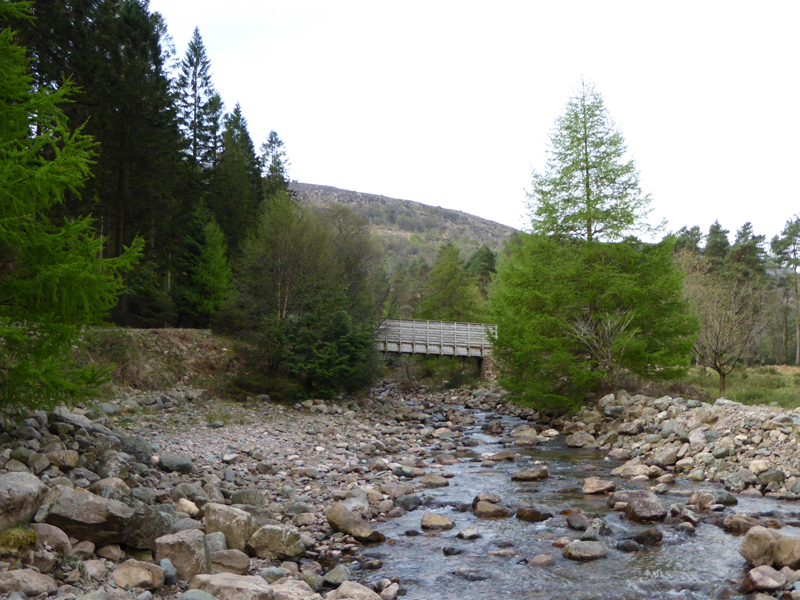 I call this "Jess's Bridge", or rather the previous bridge which allowed the water under via concrete tubes. 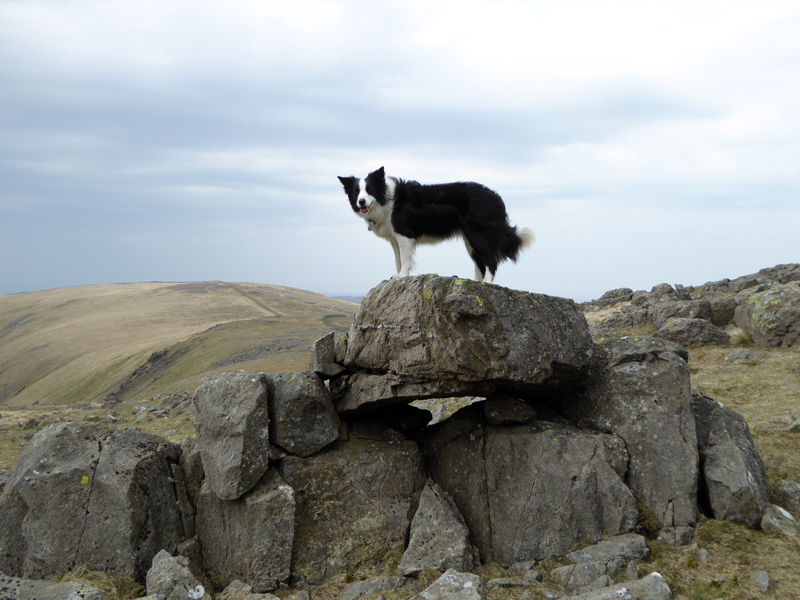 Jess The Collie got washed under and luckily popped out the other side! 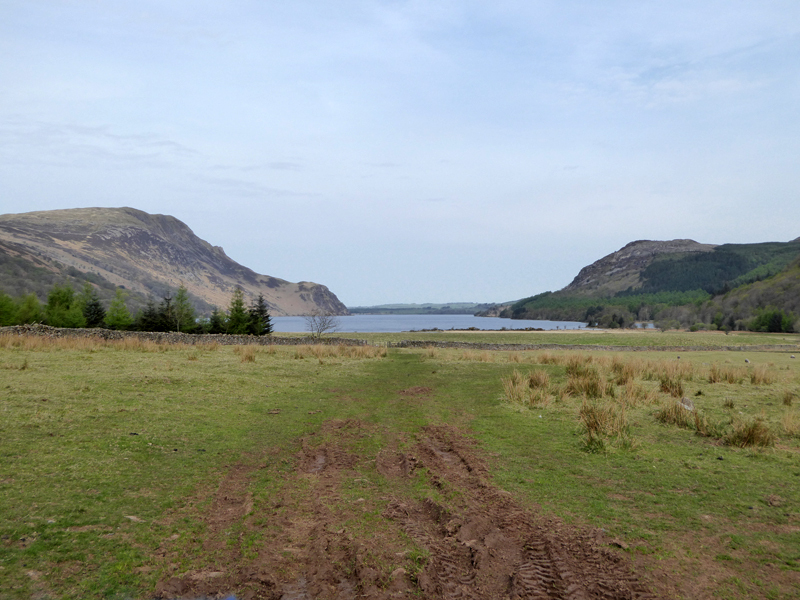 The "levels" is my name for the feature of flat land ahead of the lake. 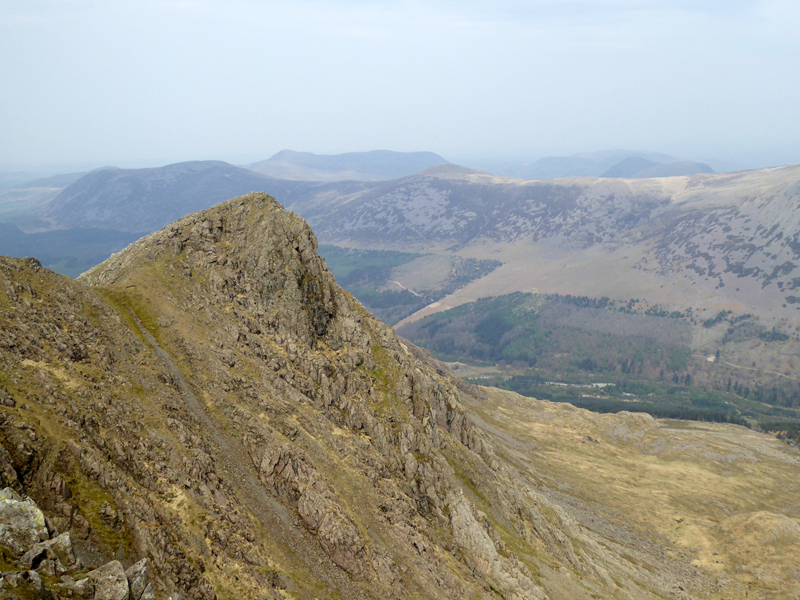 Wainwright offers one ascent route of Steeple and this is it. 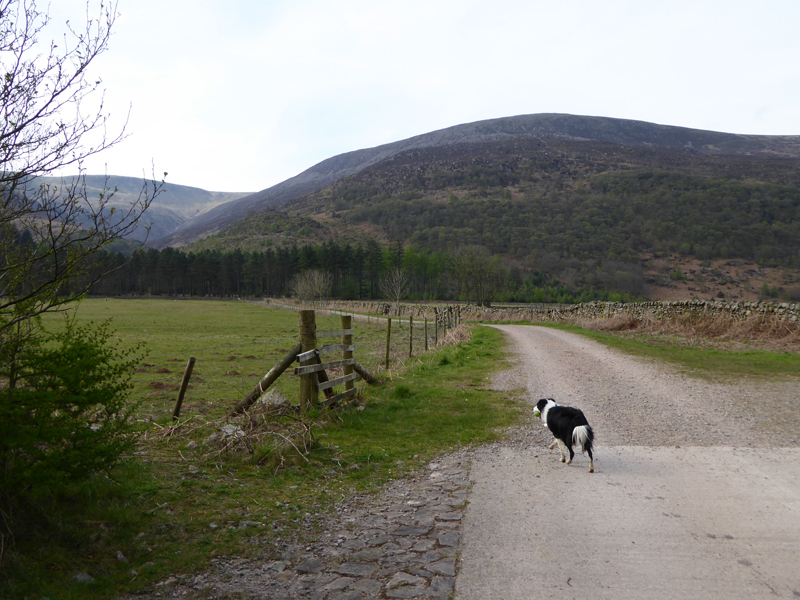 We're heading for Woundell Beck and a stream crossing for the drove way up to Lingmell. 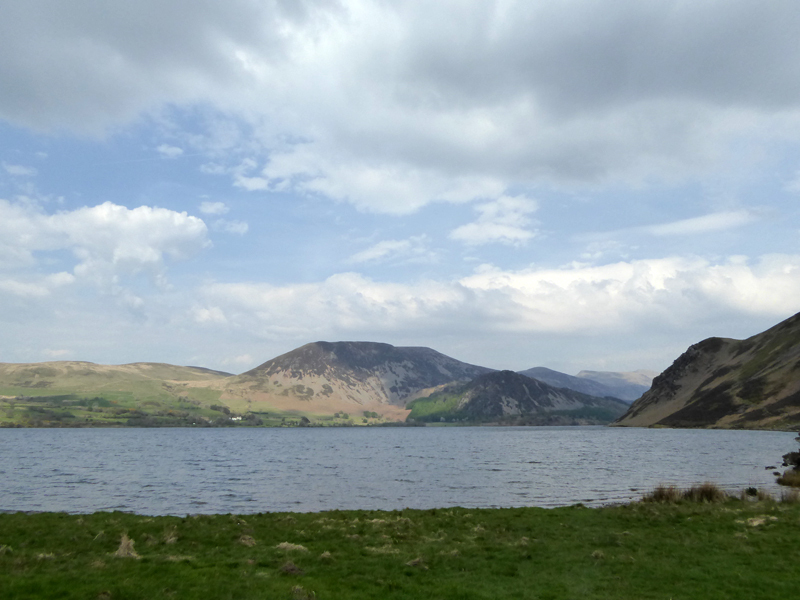 The Lake District's quietest lake and valley - no adopted road access, no shops, no pubs, no nowt. 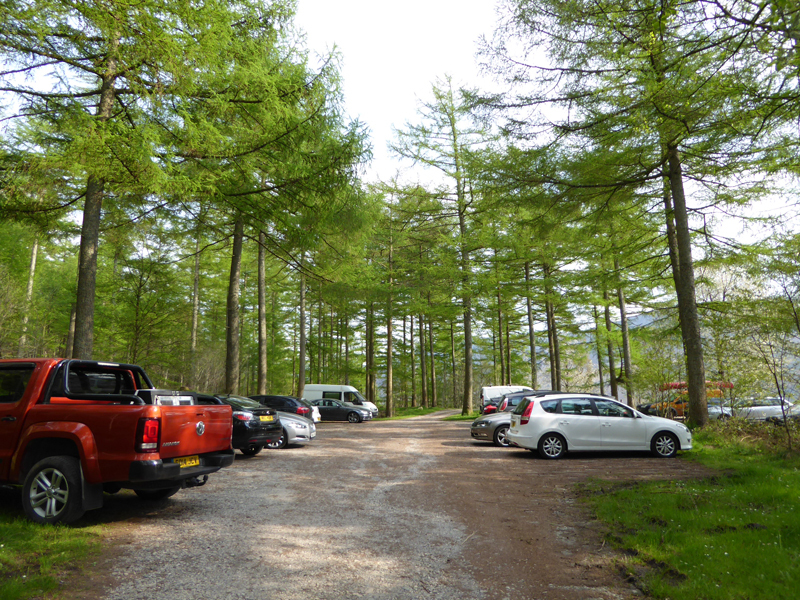 There is Black Sail Youth Hostel further up the valley and visitors have to leave any vehicles at Bowness Knott. 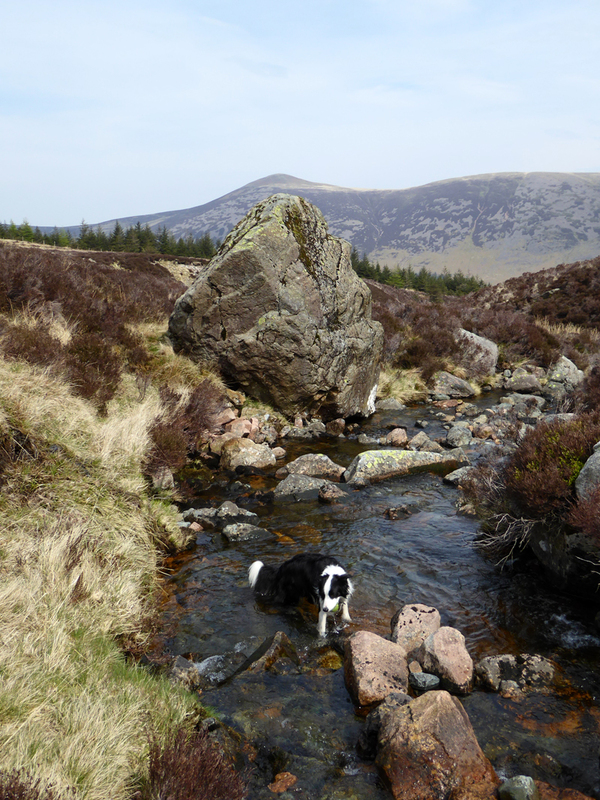 Walkers will notice a necessary descent into Low Beck, which provides welcome refreshment for dogs. 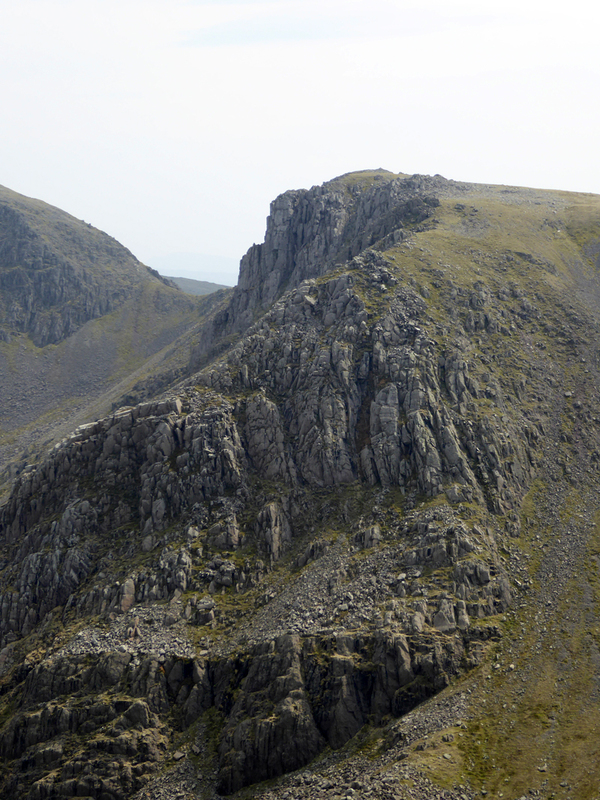 There are no difficulties ascending Long Crag's spine, avoid the steep precipice on the eastern face. 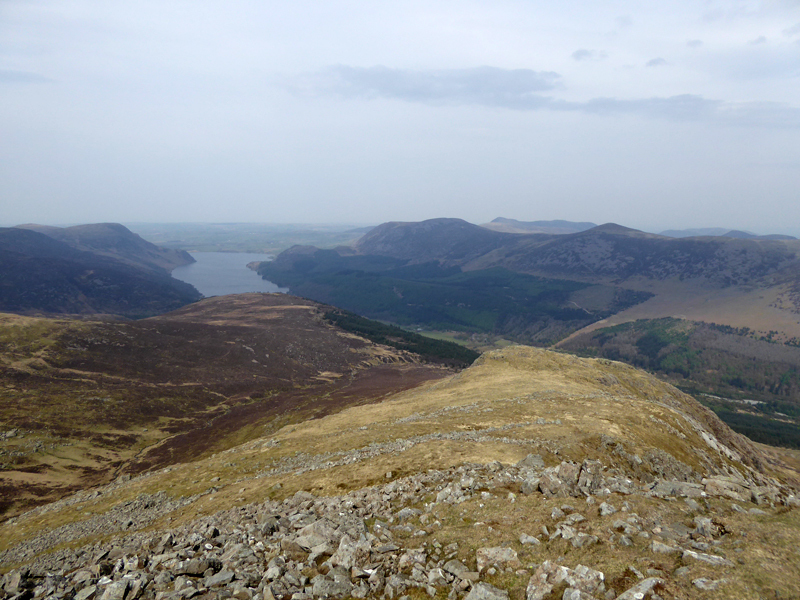 Three hours from the car park and we reach Steeple summit. The weather is warm and a little muggy, no imminent threat of heavy rain or thunder. 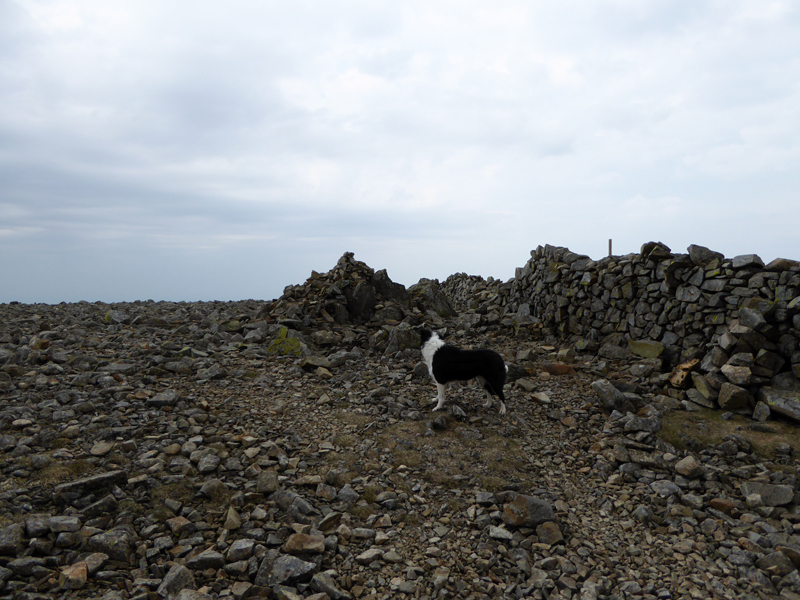 Dare I suggest that the next time I reach the top of Scoat Fell it will be from the bottom of Scoat Fell! Lunch taken in the shelter of the wind on the southern side of the wall. 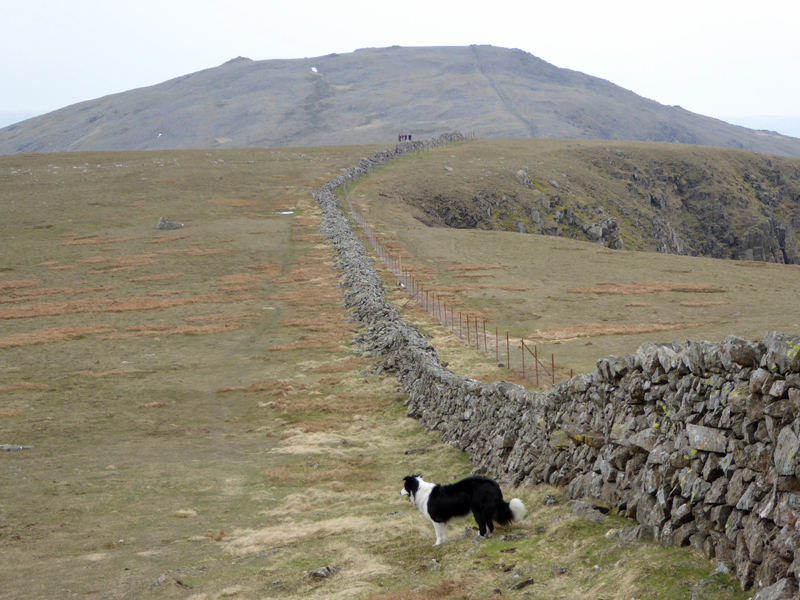 "Just a matter of following the wall" and here come the first of the other fellwalkers out today, a party of five. 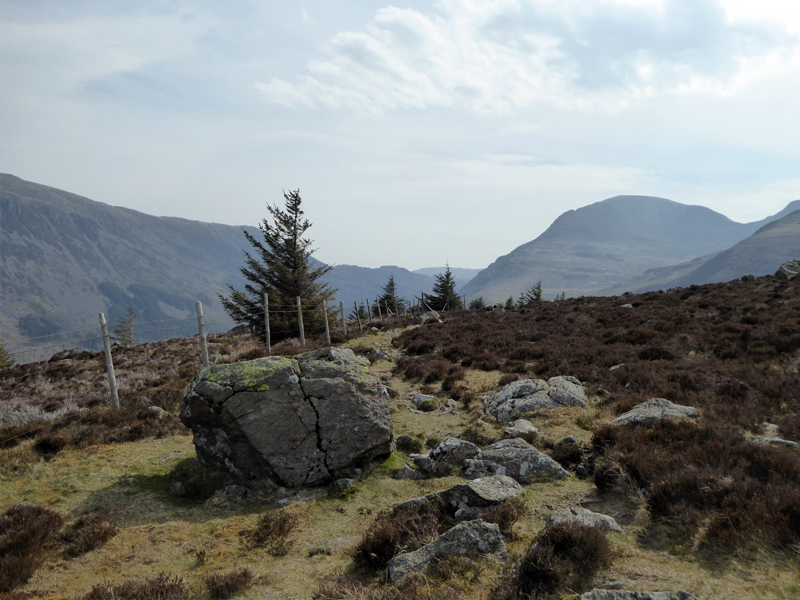 The new fence, which we saw on our last visit is intended to return the landscape on the Ennerdale side to its natural state, free of grazing. 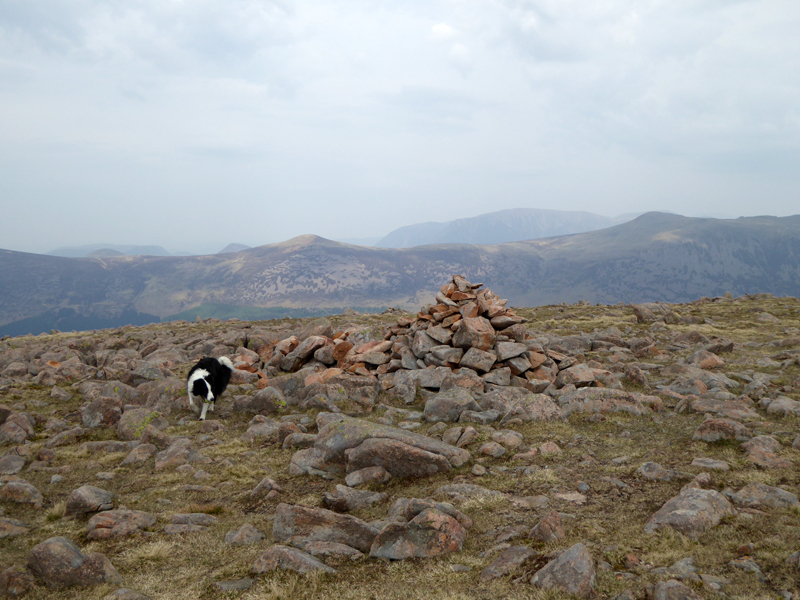 More wall navigation, and a trip over Little Gowder Crag. 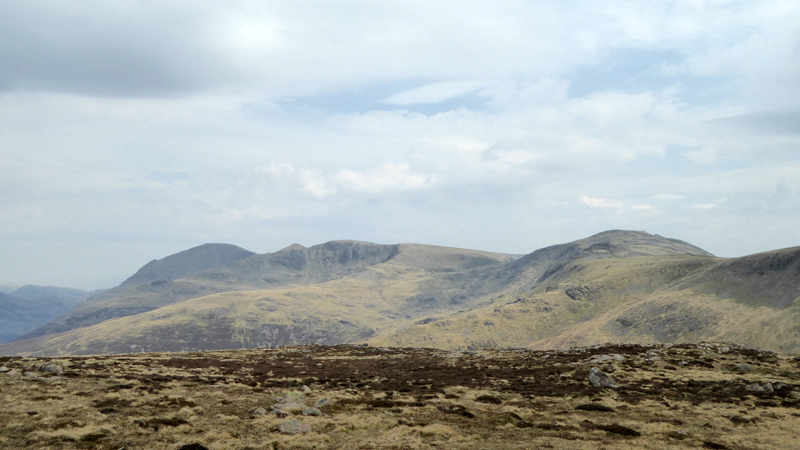 This is easy fellwalking, we hear a rumble of thunder coming from many miles away, but still no sign of rain where we are. It's decision-making time. 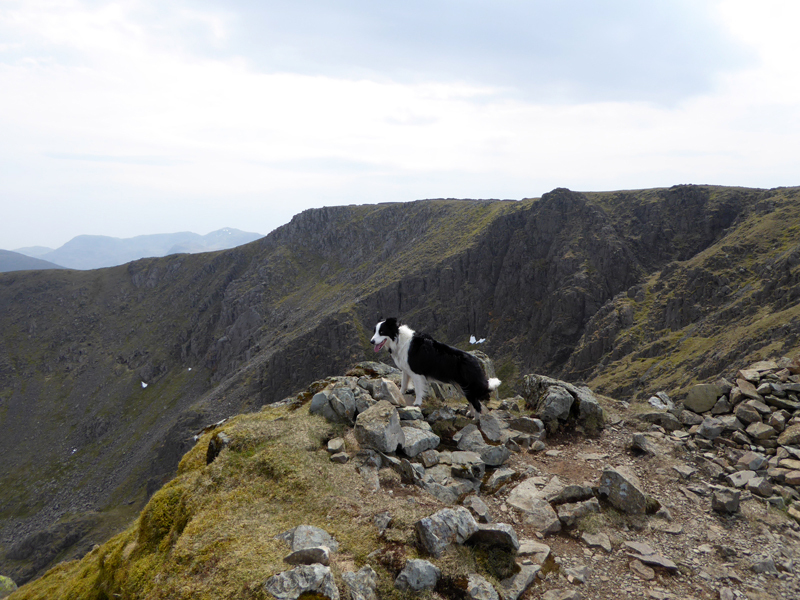 Back down to Char Dub or the ridge route to Crag Fell? 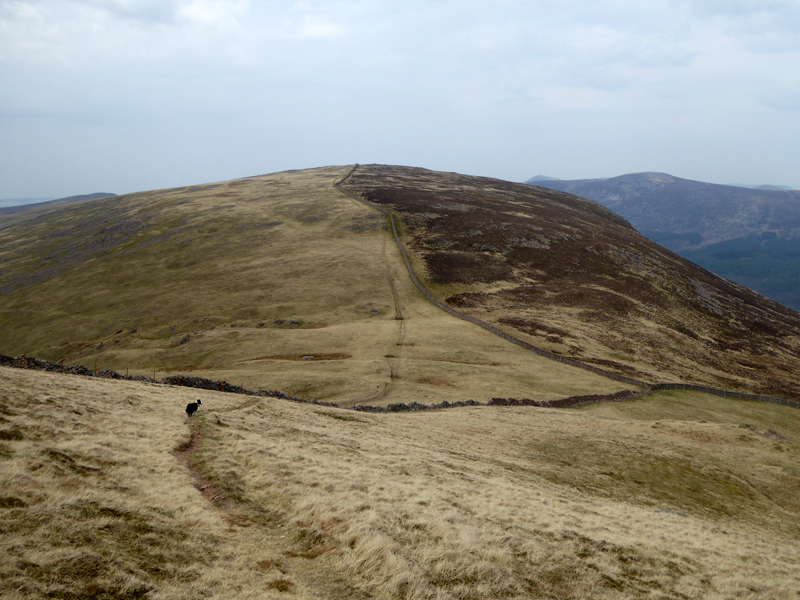 It's 3.5 miles to the latter and with growing confidence about remaining dry, that's the choice. 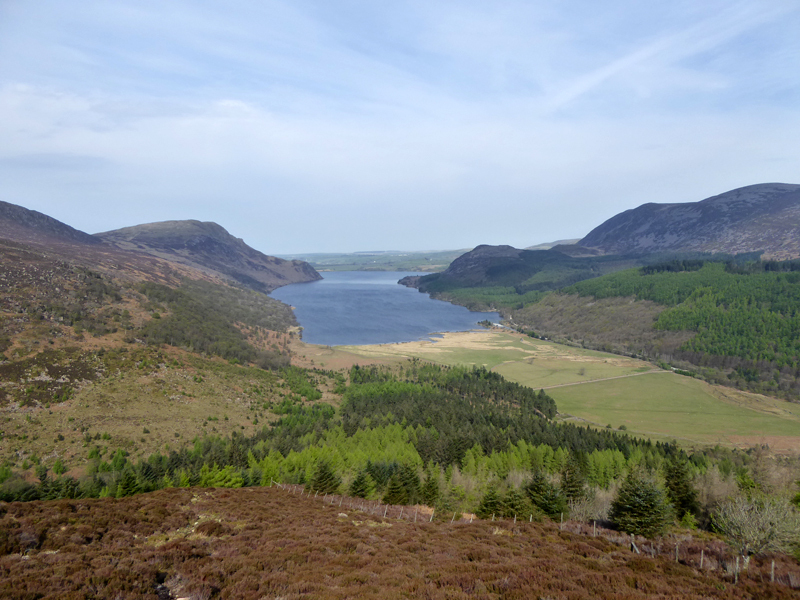 This will mean a full circuit around Ennerdale Water. 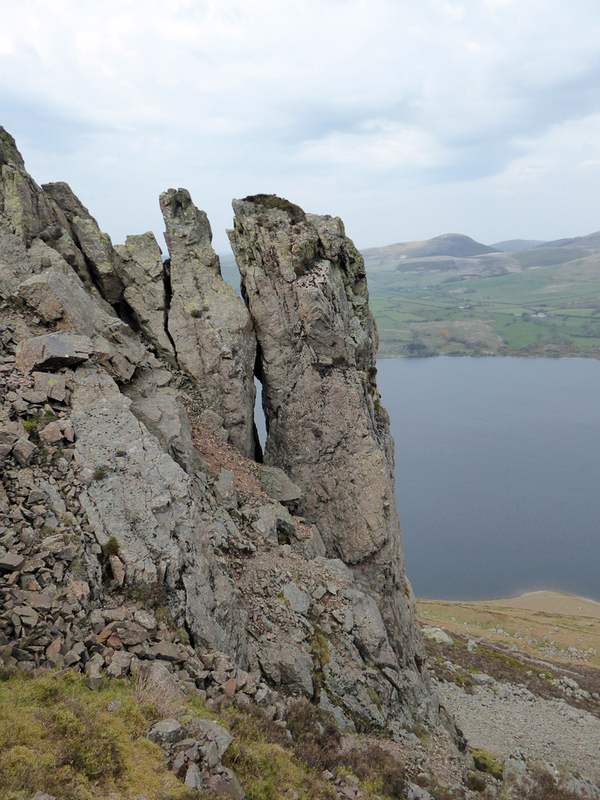 A well-worn route aims for Iron Crag. 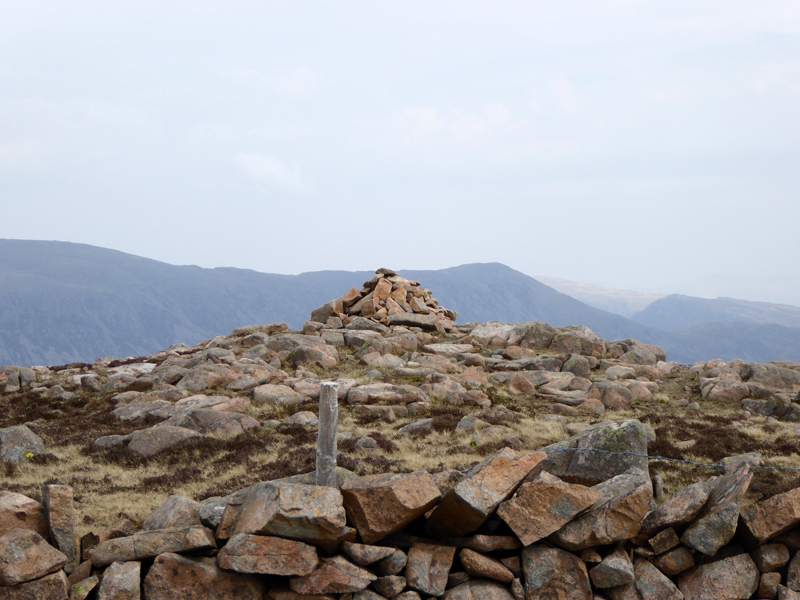 Could Iron Crag be the missing "Wainwright"? 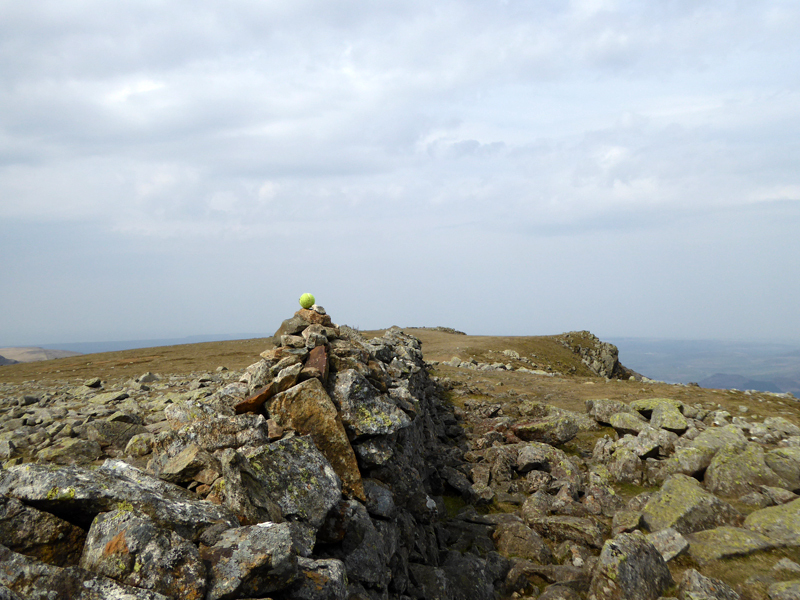 Occasional debates ask which of the neglected fells could have been No.215. 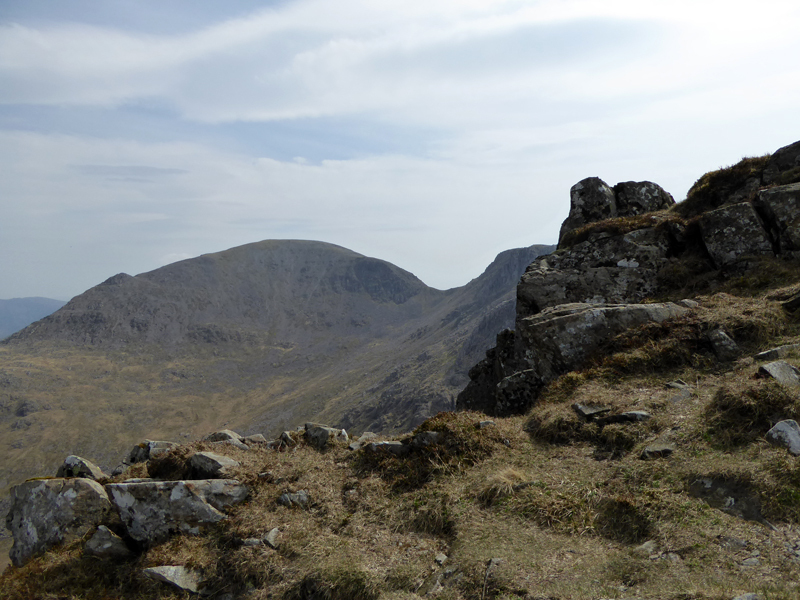 Few can make a claim as bold as Iron Crag's for it is far enough away from its neighbours to be individual; it is expansive and in many ways more attractive to look at than Caw Fell. 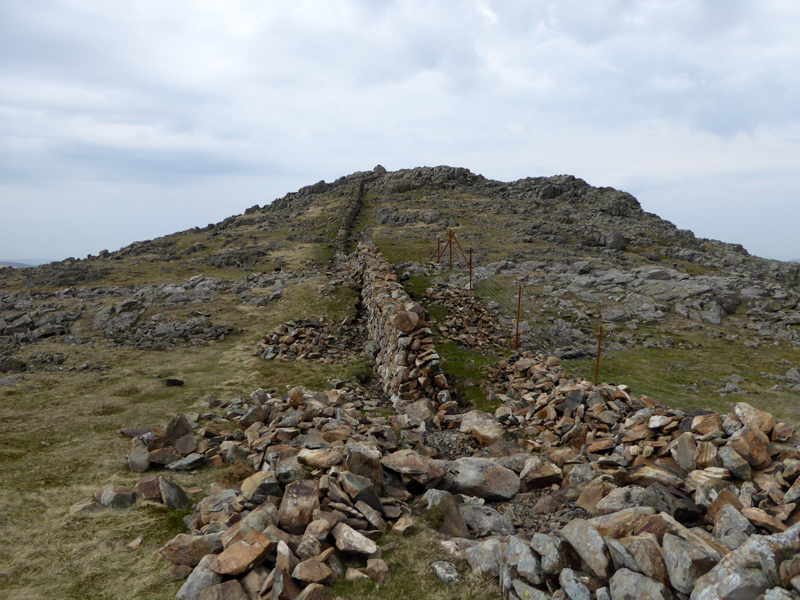 Iron Crag's summit territory is very rocky and includes a neglected fenced-off area. 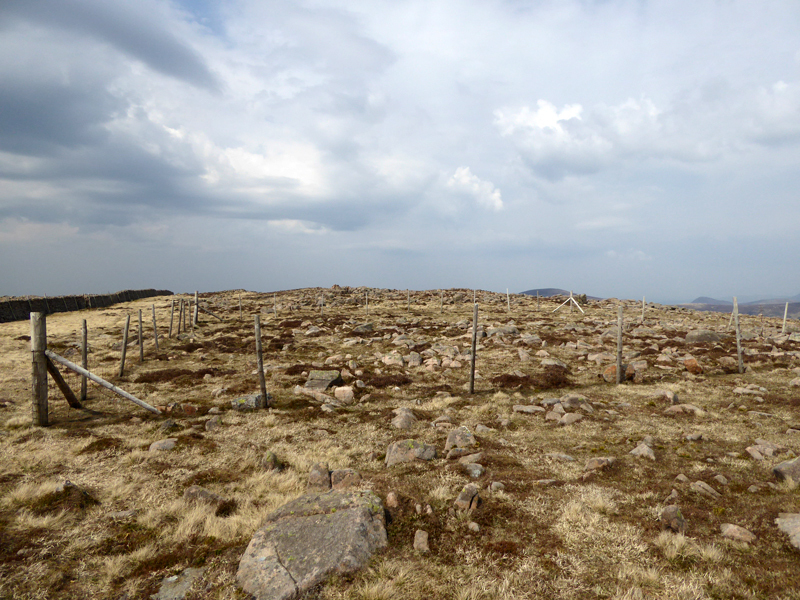 Within the fencing are pieces of aircraft wreckage. 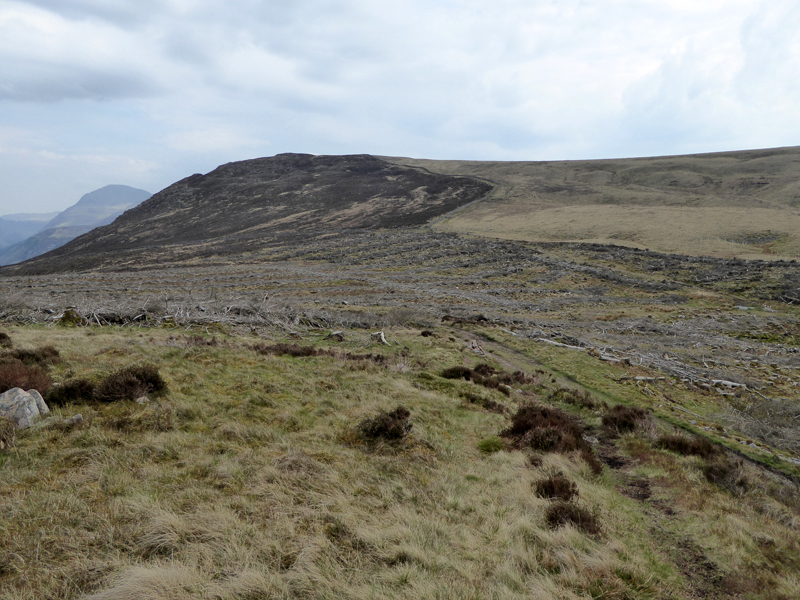 Research suggests a Royal Canadian Air Force Sabre Mk6 crashed here in 1959. Just here I took a call from my son to say that Burnley had won at Charlton and were therefore the Championship Champions if that makes sense. A victory for good management and teamwork - no prima-donnas, no superstars, just a squad of well-drilled footballers with a determination to succeed. The couple ahead of the two chaps in the previous photo were also Burnley fans! Kindred Spirits, no less. 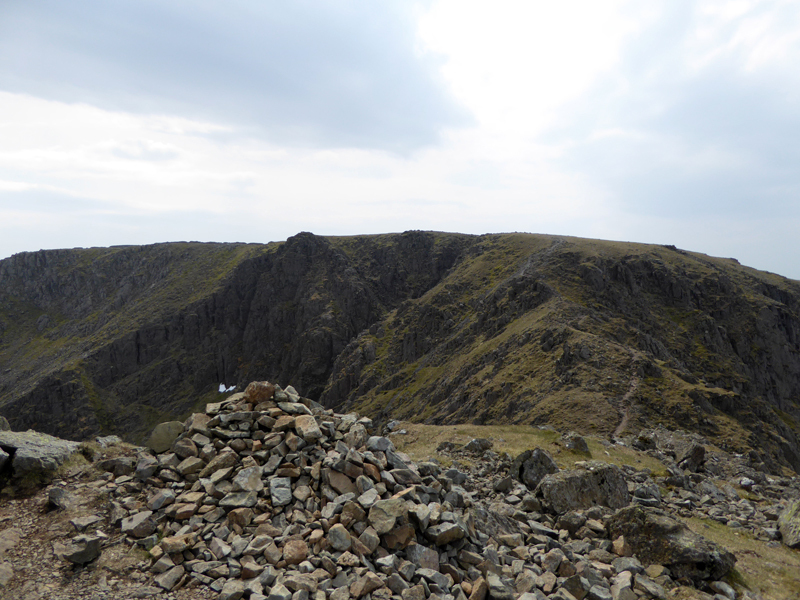 Now this is a mess, almost without parallel in the LD National Park. 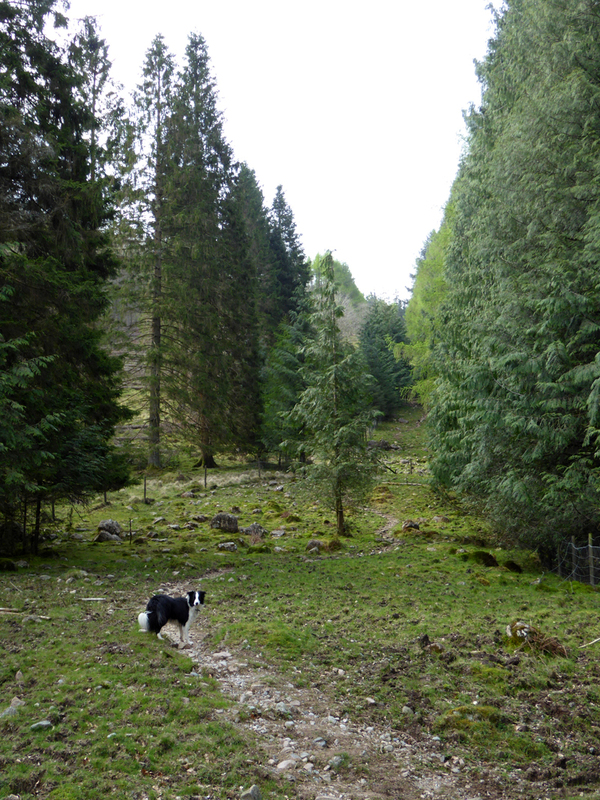 Forestry operations have left behind many tree-stumps and finding a way through the branches and boggy sections is not pleasant. 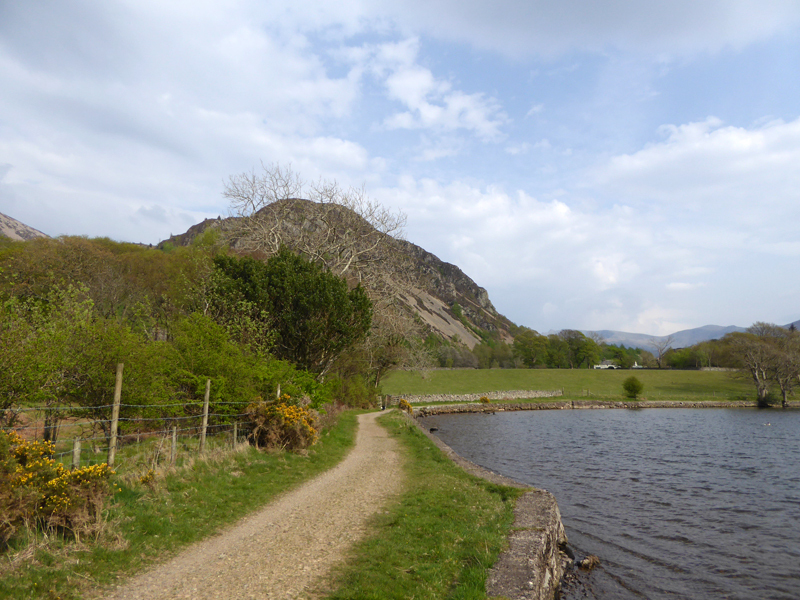 Crag Fell has many merits as a fellwalk, but not from this angle and wouldn't a zip wire be handy to get folk quickly back to Bowness Knott car park? Such could cost less than repairing that wall! 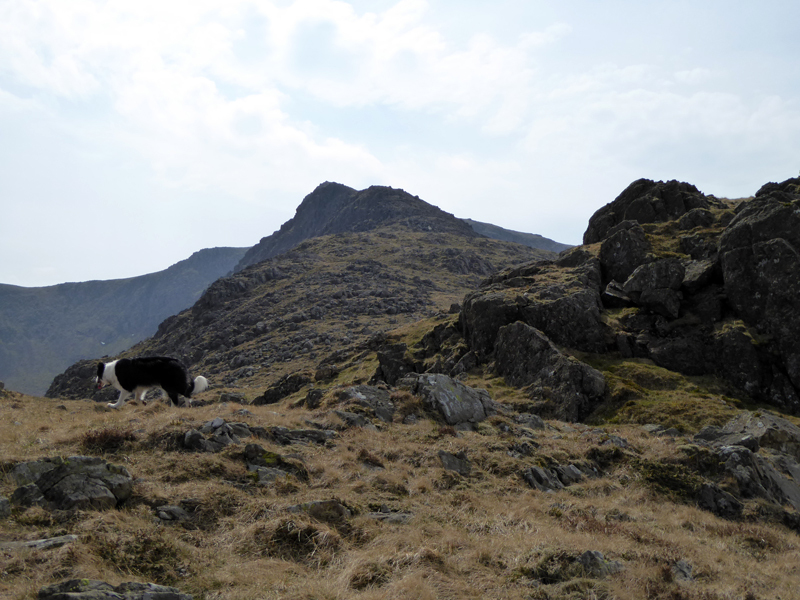 Our descent route took us through and around Crag Fell Pinnacles. 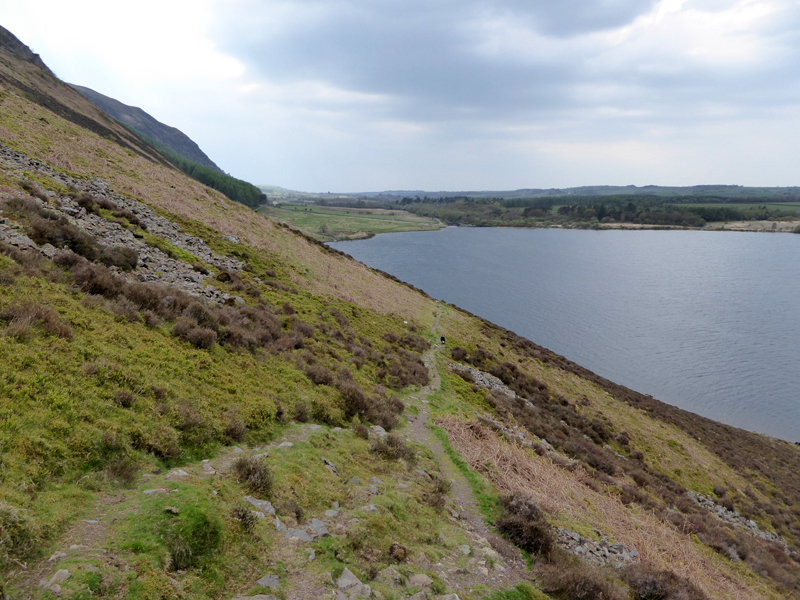 Just above Anglers' Crag and you can see the effect of the strong breeze on the surface of the lake. All threat of rain has gone west. 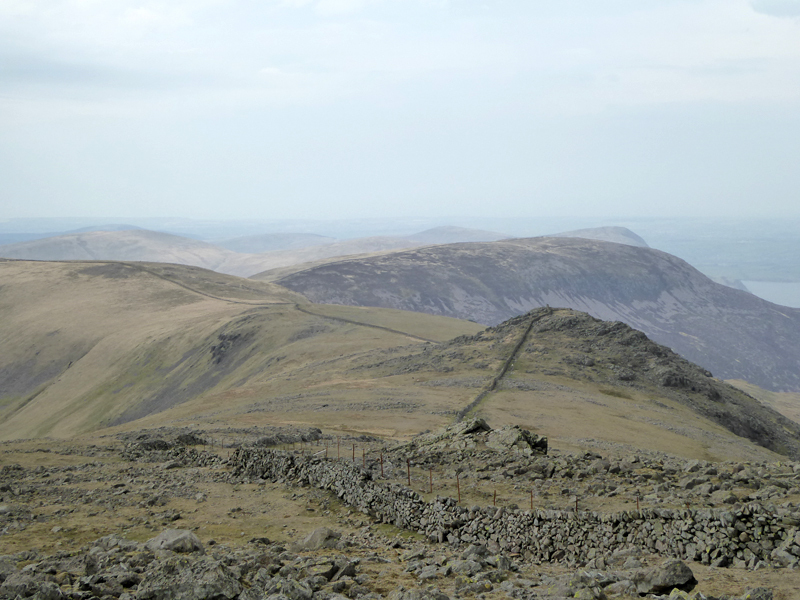 The sky is clearing and the Great Borne rises above the lake over Bowness Knott. The last two miles or so were spent following the shoreline. 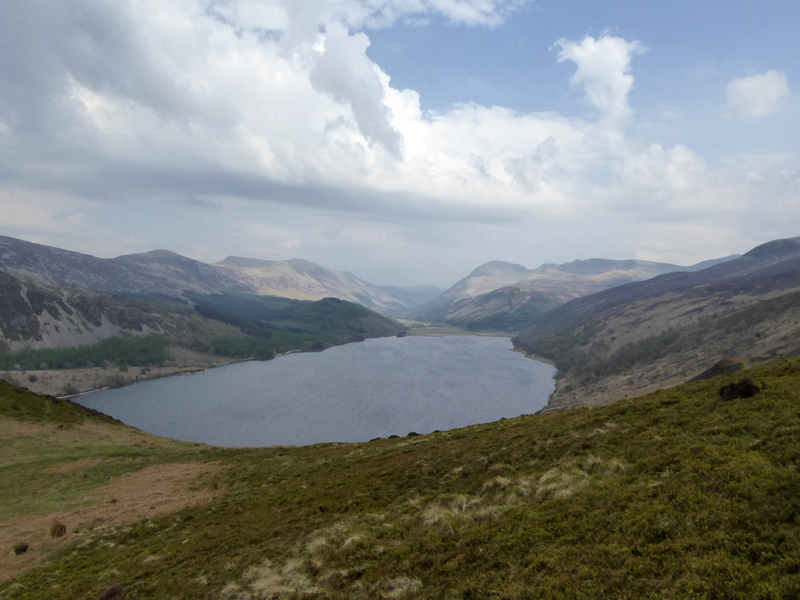 This is the third time I have walked around Ennerdale Lake, on the previous two occasions the walkers followed the low-level route all the way round - it is a great walk for those able to do so and not wishing to climb mountains. Parking here is free of charge. 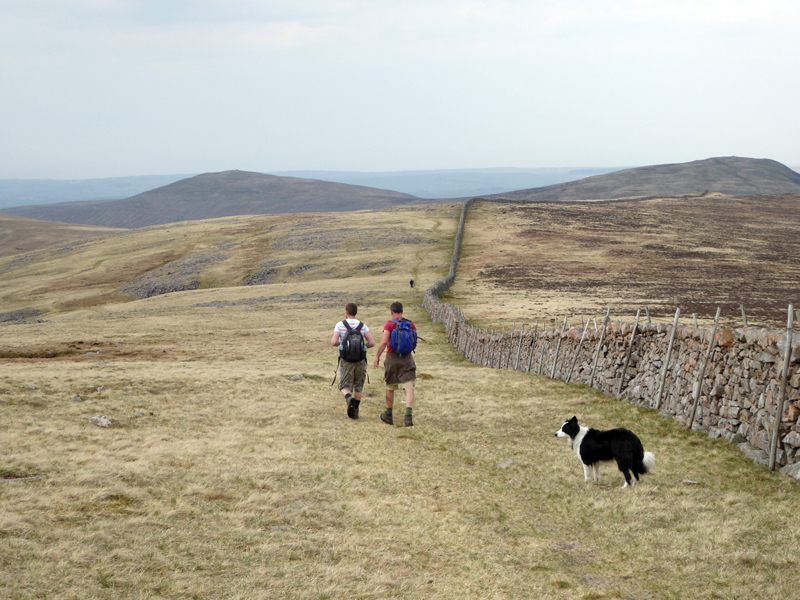 Walkers: Molly The Dog and Me. 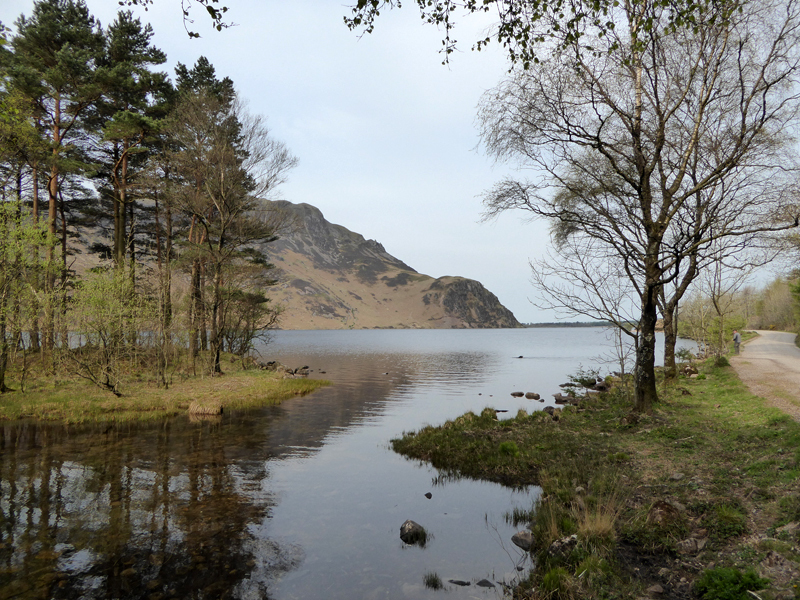 Route: Bowness Knott car park, Ennerdale Water, Char Dub, Woundell Beck, Lingmell, Long Crag, Steeple, Scoat Fell, Haycock, Caw Fell, Iron Crag, the "Mess" at Black Pots, Crag Fell, Anglers' Crag, Ennerdale Shoreline back to the car park. 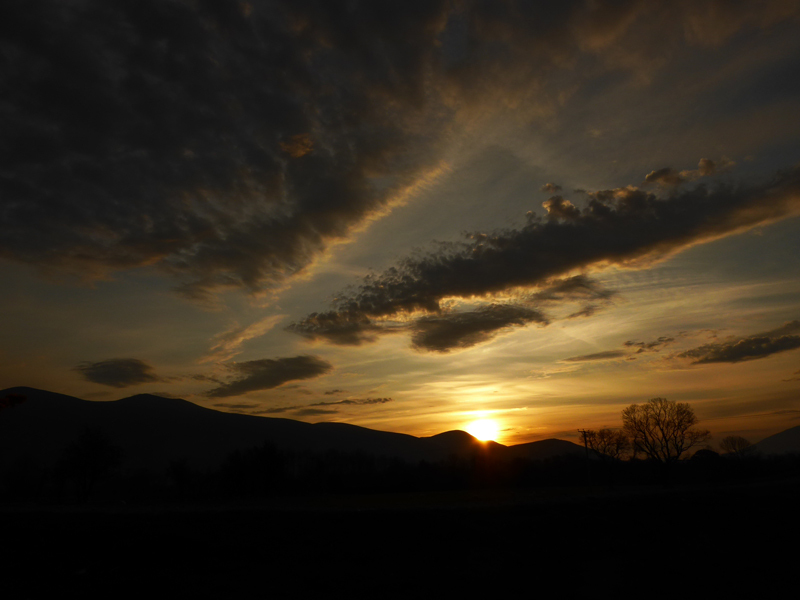 Weather: Warm and breezy, dry throughout. Time Taken: 8 hours over a distance of about 14 miles.